The photograph is of South Lodge on the Ashfold estate. It is located in the Lower Beeding parish, but originally being part of a Handcross estate,seems sufficient reason to include it on this site! 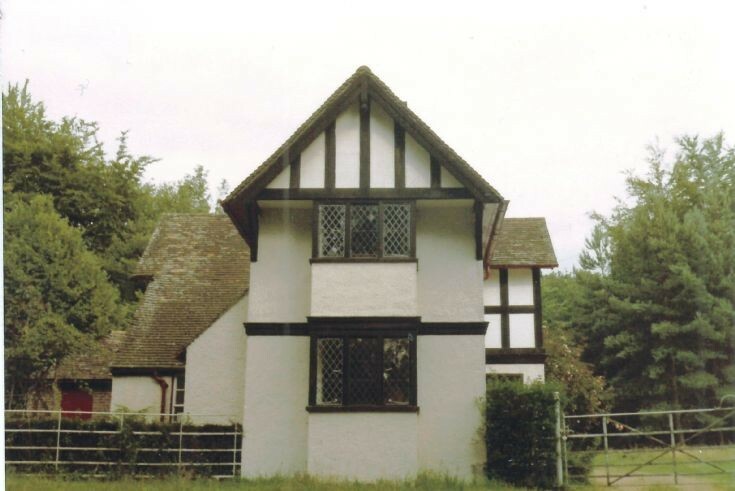 Over the years it has also been known as Lower Lodge and Horsham Lodge, but today it is called Tudor Lodge. It was commissioned in 1875 along with other major works on the main house and elsewhere on the estate and building work took place between 1875 and 1884. The lodge has been extended and modified over the years and it became a Grade II listed building in 1973, as did the North Lodge which is situated closer to Handcross on the same road. See picture #2314 to view earlier inhabitants of the lodge. The Large Version shows a fragment of a map of the Ashfold estate from around 1900.